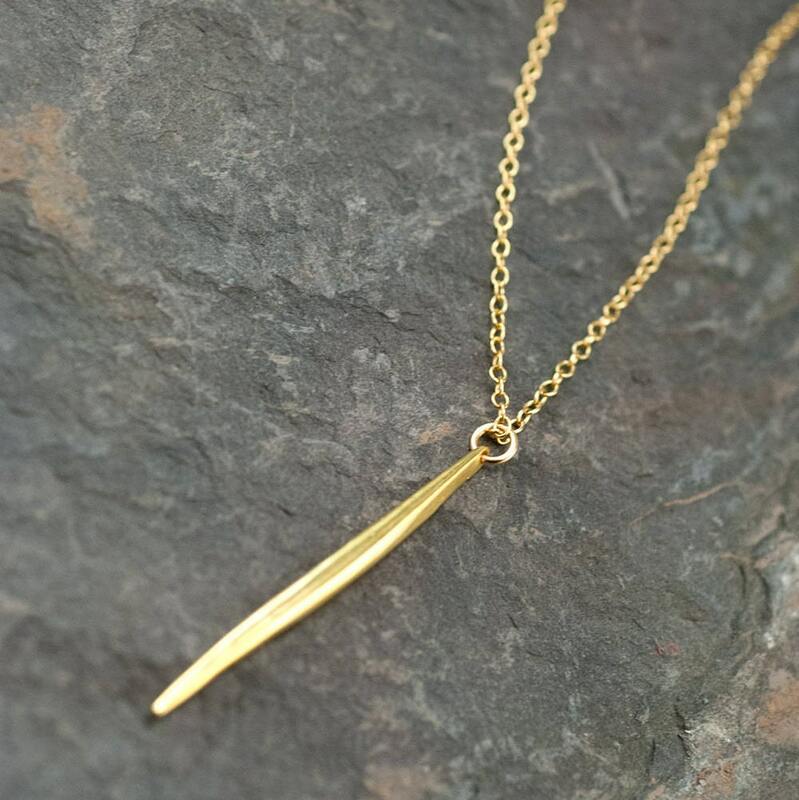 ✤ 1st Necklace: A beautiful bar of genuine gemstone beads set in a 14k gold filled chain. 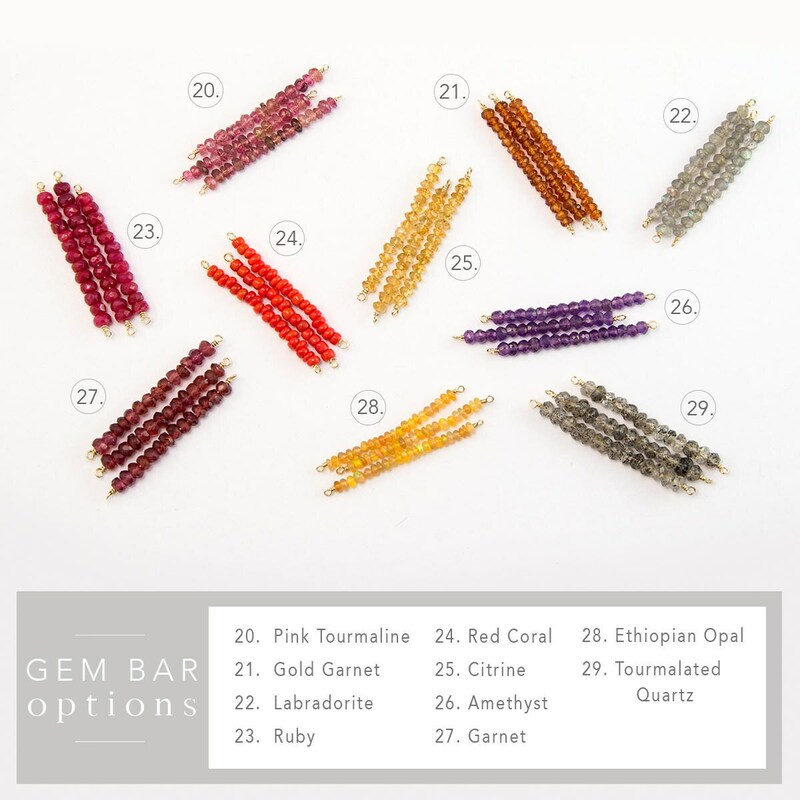 The gemstone bar measures approximately 1.25 inches. Exactly as pictured. Very pretty. LOVE IT!!! BEAUTIFUL! Can't wait to wear it! 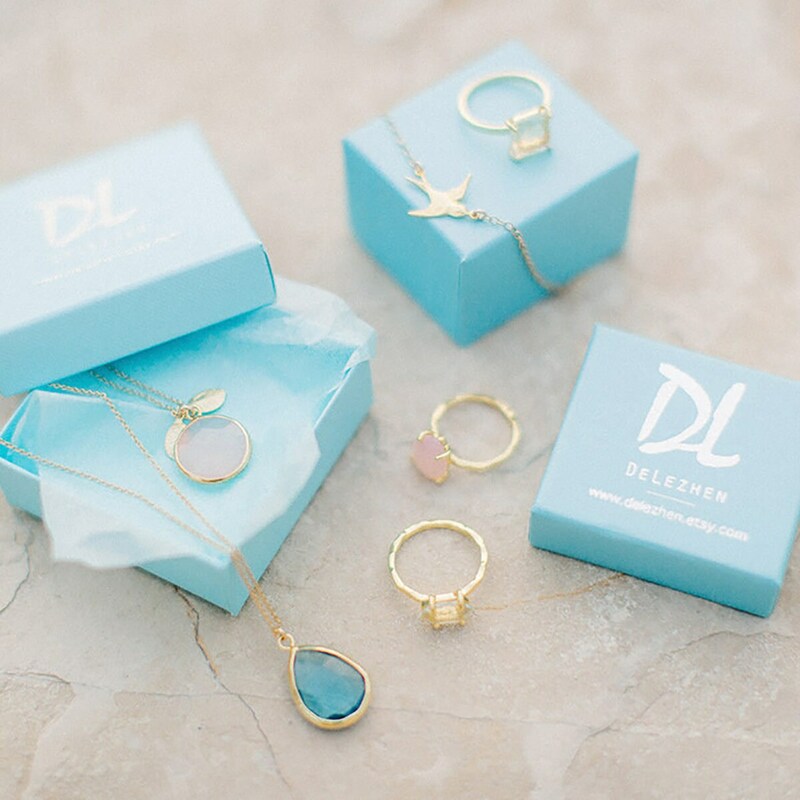 I can't wait to wear these beautiful pieces at my wedding in September. Love this set! Daughter is thrilled! 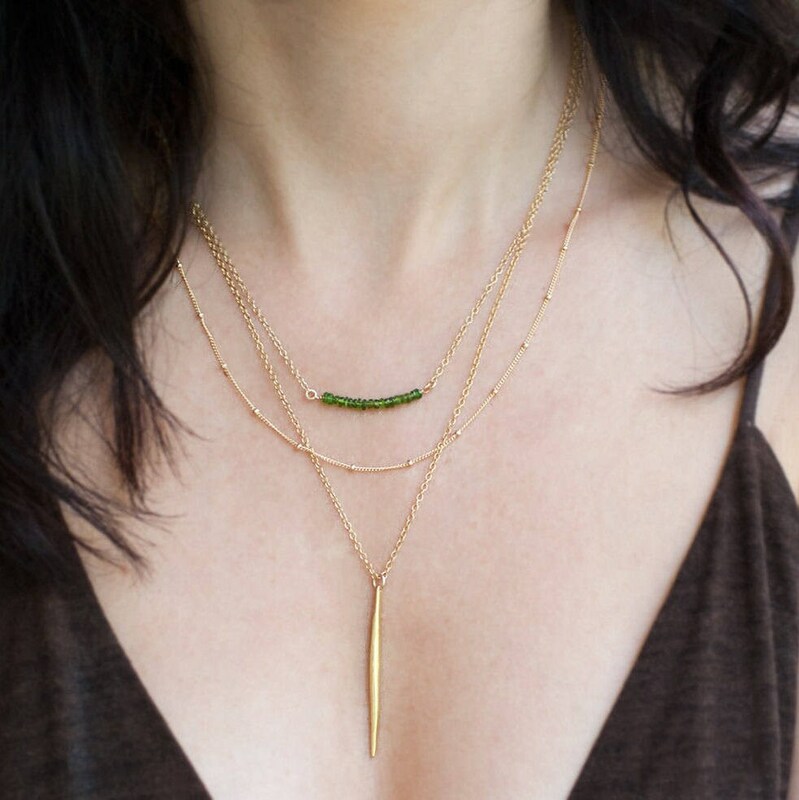 She loves how the middle necklace is a non-traditional chain. Something different! Cool! 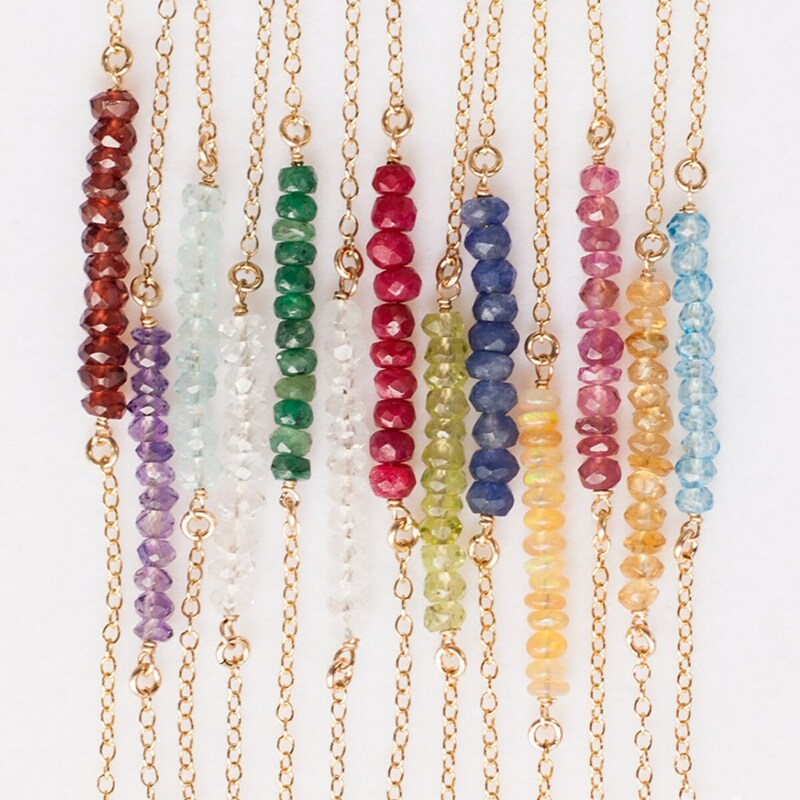 Love how each necklace is its own, so you can separate as you wish. 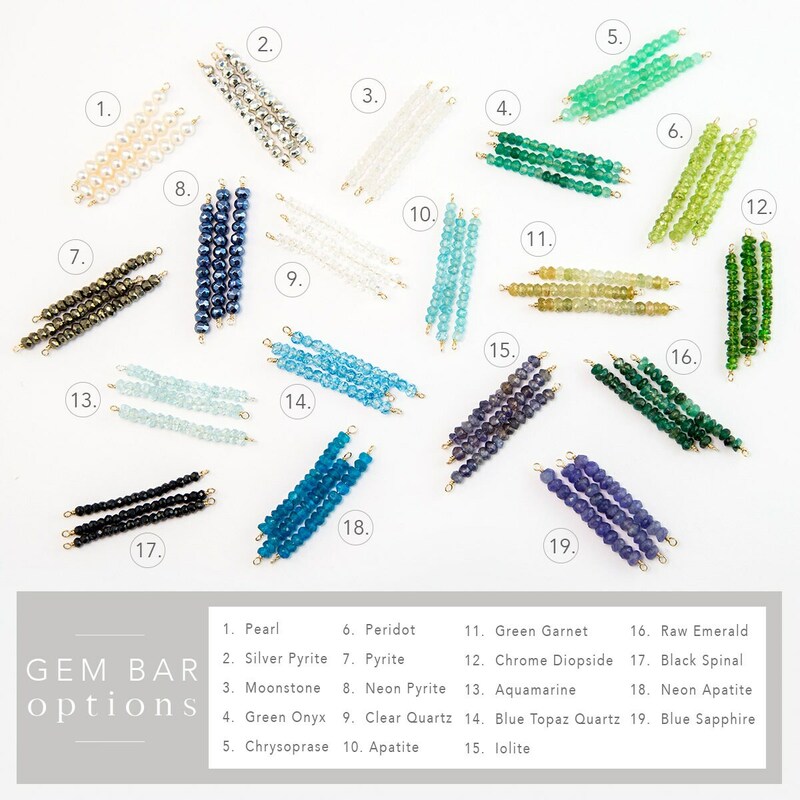 Love the purchase option to select the desired lengths. Can't wait to see what else will come through this shop. Thank you!